This process is vastly different from the traditional architect/contractor hire plan in that design-builders are responsible for everything, from brainstorming and drafting initial sketches and layout ideas, to assisting in the selection of materials, to putting the first shovel in the dirt – to handing you the keys to your new space. Simply put, we do everything, and for a number of good reasons. Let us explain. When you work with us, or any other design-builder firm, you’re signing up to work exclusively with one entity – not two, or three, or four. We’re responsible for everything including the end result and how we get there. Because we also design the project, more attention is usually given to the overarching process, including pricing, availability, scheduling, construction and the design phases. We take into account the pricing process early – so if a project is ever derailed by a blown budget, we all know who to hold accountable. It’s a big part of our ever-expanding dedication to being upfront and honest with our partners and clients – we choose to focus on building great projects and relationships, not coming up with excuses. Design-builders are always gaining new leeway with developers, builders, and renovators because our process puts us in the trenches with you. We’re all in this together – and we ultimately share the same goals. We’re always aiming to meet and exceed our client’s expectations as a way to show them that we care about every aspect of the project as much as they do. When we encounter an issue, we know two heads are better than one. Design-builders everywhere agree that pointing the finger of blame isn’t a good way to progress forward, so instead, we opt to get down to work, by brainstorming viable solutions to problems – making sure our collective goals are met in a timely, effective manner. Time is money – so when your designer and builder are involved from the very beginning, your project is able to be realized much quicker than a process that involves jumping from one ship to another. This means the chance for fine-tuned details, wishes, and expectations, as well as communicable relationships aren’t put on the backburner. Further, design-builders are experts in both areas of building and design. We’re professionally trained and licensed designers, as well as formal architects with ample experience. We also come to the table with proven construction know-how and a track record of jobsite understanding. 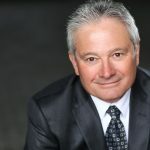 This is important when considering that architects have very little to no experience in the field – our efficiency and expertise intersect in ways that traditional builders and designers can’t dream of; we’re builders that can think like architects and architects that are able to think like builders. Design builder’s expertise goes well beyond simply knowing our way around a jobsite or design studio. Our time in the industry has allowed us to learn the in’s and out’s of client psychology. We know you’ll have questions, we’re dedicated to teaching and guiding your business or project through the paces to ensure that you feel on top of your decision-making processes. One of the key pillars to understanding the design-build mantra is knowing that the client wants to be an active participant in the entire process. When we sense that a customer is excited to work with us, we reciprocate that same excitement. It’s easy to feed off the excitement we feel when a client first sees their design ideas come to life, and again when the construction process is fleshed out – it’s an inspiring aspect of working so closely with our clients. When clients of design-builders get involved, they’re ensuring that they get the final outcome they’ve always had in mind, and it’s through ongoing collaboration that we’re able to help make that happen. When you work shoulder-to-shoulder with your clients, pride and ego are non-existent – the customer retains full creative control of their build, and we simply help to turn ideas into reality. We can’t say enough about how important honesty and transparency are to the design-build process. We never forget that a project may be the final hurrah our client’s career, or a last-chance to make a lifelong dream come true. When there’s this much on the line, we believe that it is absolutely crucial to retain an open, honest and free-flowing river of communication, so everybody is always on the same page, working towards the same goals. Period. We work hard to deliver accurate budgets, schedules, design drawings, and offer up ideas that can help increase efficiency, reduce emissions and utility costs, improve residual value, and deliver on the small things that really matter to our clients. If something isn’t feasible – you can count on us to explain our reasonings, and from there, we move forward together to combat the issue. Simply put, we value the chance to continually communicate with clients – as all design-builders do – because this process helps us to become more efficient design-builders in the long run, and no one is ever finished learning. 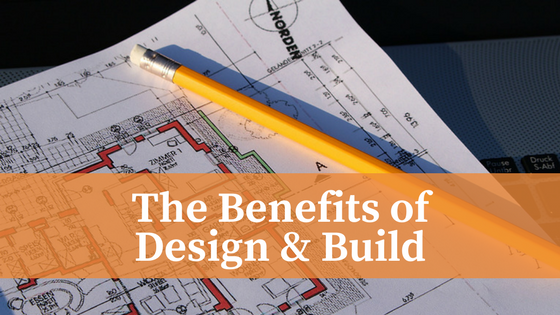 The benefits of a design-build approach reach far beyond the conventional streams of architect/contractor work. When you work with a single entity that helps projects become reality – from start to finish – you’re not only investing in your vision, you’re investing your trust in us, and we don’t take that for granted.